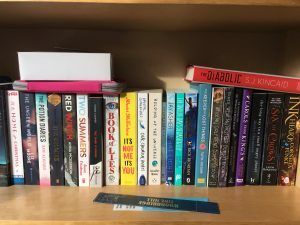 It’s been ages since i did a book tag and this one I found by Georgia over at The Bibliomaniac sounds top notch fun dont ya know! She tagged anyone who wants to do it, thanks Georgia. So lets get on with it shall we? Well technically I dont have one right now as i’m waiting on my next read to arrive any minute (crosses fingers) but i’ve not long finished The Secret of Nightingale Wood by Lucy Strange, totally a classic in the making. Oh, just thinking about the story makes me want to laugh and cry all at once. 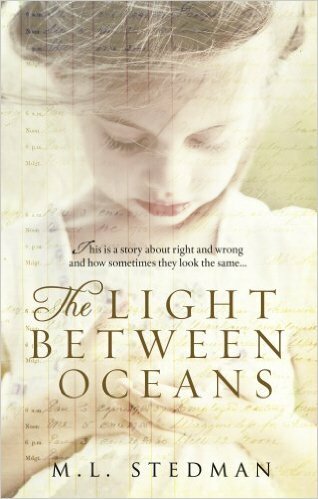 It is the most beautifully written book with the most moving of stories. I was reduced to a blubbering mess by the end but in a good way. Fab, fab, fab! Crumbs! another toughy! 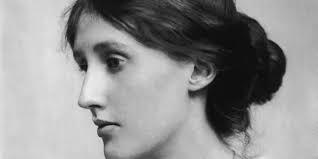 but I reckon it would have to be Virginia Woolf. That would have been such a thrill. I would ask her why she wrote her books in that very confusing stream of consciousness way she had, why she became depressed and id probably want to send her for therapy so that she didnt end up taking her own life. That whole Bloomsbury, bohemian lifestyle fascinates me and is so far from my comfort zone that it would be one huge adventure. I dont know that any of my books would surprise anyone but i do have a 5 book set of Enid Blyton’s The Famous Five which i still think stand the test of time and i love books on things like Numerology, Astrology and Feng Shui. I’m not a huge non fiction reader but something I can learn from is always fun. Well I dont have much space for books so my current reads and TBR pile is in a lovely bookcase right next to where i’m typing. It cost us absolutely nothing from Freecycle website, which is a fab place to give away and get free items. I have organised them by colour, by genre and by to read tbr before now but I really just like them as they come and where they fit. I especially love my top shelf reads right now which is 97% YA books which i adore. Ooh now its confession time eh? Well i bought all of Rainbow Rowell’s books ages back but have never read any apart from Attachments which i loved so much. I’ve tried Fangirl so many times but not finished and same with Landline and Carry On and Eleanor & Park not at all really. So that pretty much covers both questions really. *hangs head in shame* I dont think Rainbow will ever read this though so i should be okay. Phew! Ah, will the confessions never stop! Where should i begin, there have been loads of books which i’ve heard people rave over that have left me cold. I loathe Thomas Hardy’s books, they are just so weird and dry for me. Illuminae and Gemina both failed to light my fire. I found them confusing and incredibly hard work to read. Books should be fun not an assault course for the brain. As for not finishing books, I do this all the time! There i’ve said it! now i’m shamed for evermore. I’m a mood reader and depending on my mood will depend on what book i read, how much of it i manage to get through before my mood changes and how gripping it is and therefore keeps me reading despite my mood change. As i mentioned above I have a passion for YA but not all types of it. 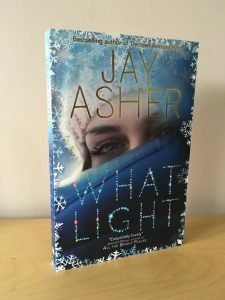 I like a quirky YA, little bit diffeent and stand out from the rest. Sometime contemporary but I do get fed up with everything being set in high school with friends, bullying, first kiss, blah! blah! blah! Those authors that write fab books which transcend all that nonsense are my heroes. 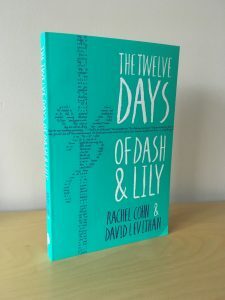 Ones like David Levithan, John Green and Sonya Sones. I just find it such a struggle to learn about a whole new world before i can really get into the story and dont talk to me about Romance and chick lit or i’ll have a tantrum. I mean, how many ways can two characters meet, dislike each other, overcome some form of jeopardy, fall in love and live happily ever after blah! blah! yucky blah! 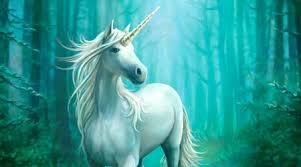 You can never have too many pics of a unicorn – Yay! Funny you should ask that as I’m currently waiting for postie to bring me a copy of Fantastical beasts and where to find them by the always amazing Queen of fantasy, JK Rowling herself. When it arrives i shall be diving headfirst into it. Also I have a couple of spankingly good Christmas books i want to read in the next few weeks. Ah, i just love these and feel all Christmassy just thinking about them. Hey, know what? I really enjoyed that tag so if you want to have a go I tag you all to do it.